The Gingerbread Heart "Benjamin" is decorated with hearts and an ornament made of icing. 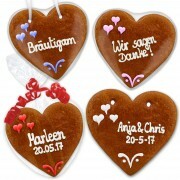 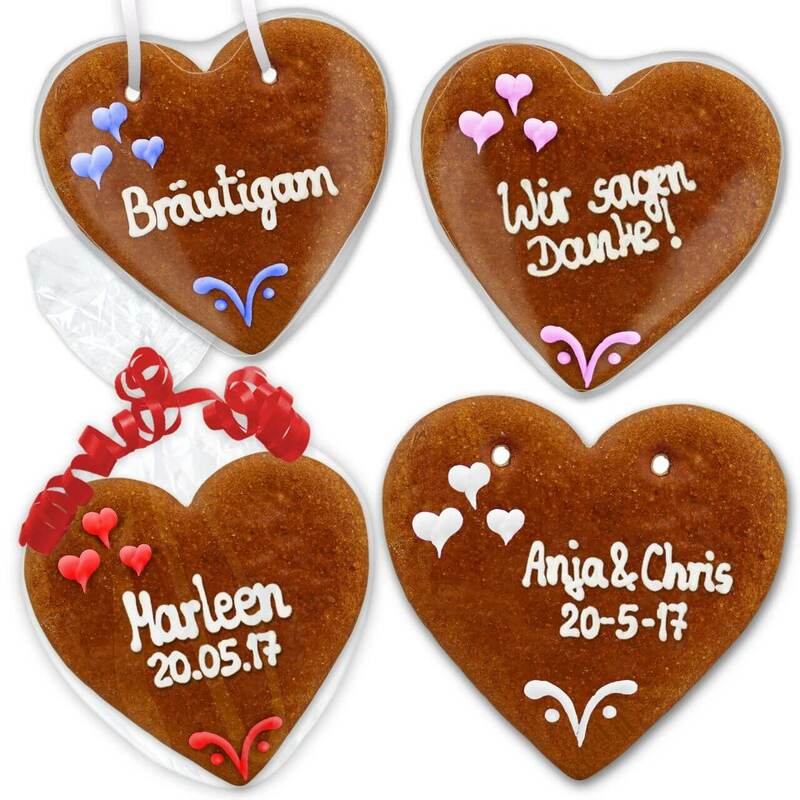 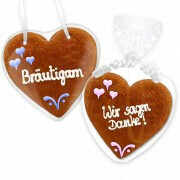 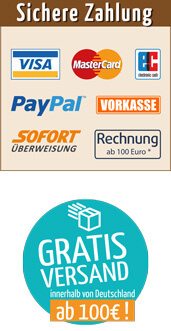 The simple and stylish design of the gingerbread heart is ideal as an invitation and thanks for your wedding. Individualize the hearts with your text and optional with your favorite photo. Each Gingerbread Heart is unique and made by hand, therefore, shape, color and arrangement may vary slightly.